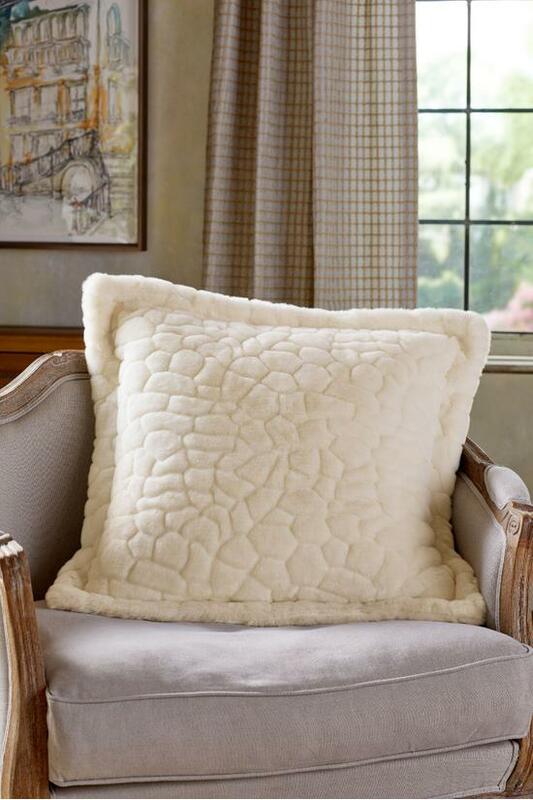 Inspired by the elegant Swiss resort town of the same name, these ultra-luxe throws, pillows and shams are sumptuous and opulent, earning our most coveted softness rating of 3 clouds. Made for snuggling by the fire or losing yourself in their thick pile with a good book and a cup of tea (or okay, wine), our designers tells us the pattern reminds them of fallen snow. Hidden zipper closure. Filler not included.